2Bscene is an inclusive theatre group that aims to explore and challenge stigma surrounding mental health through bringing together people with and without lived experience to create pieces of interactive theatre that are taken out to audiences in the wider community in the hope of provoking dialogue and increasing awareness. We have previously worked with Time to Change, which is England's mental health anti-stigma programme run by the charities Mind and Rethink Mental Illness and funded by the Department of Health and Comic Relief. The aim is to bring people who don’t have mental health problems into social contact with those who do. Evidence suggests that this kind of contact is one of the most effective ways of breaking down stigma and discrimination. Our most recent project, supported by Mrs Smith and Mount, was completed in June 2016, having toured thought-provoking performances to SLaM, Goldsmiths, St Mary's Church, Lewisham and Dragon Cafe. On January the 7th and 8th 2012 local residents got together to perform their version of the classic feel good film “It’s A Wonderful Life”. A group of modern day angels arrived in Camberwell to help a local resident realise he was a much valued member of the community. 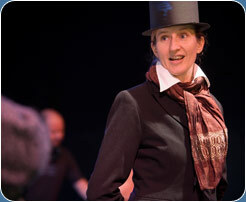 Their version “It’s a Wyndham Life” was devised by the group and performed at the Blue Elephant Theatre with much success. 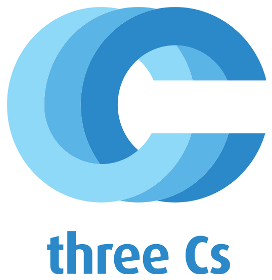 We were also pleased to link with the Crossways Three C’s group in Peckham who helped us bring our story to life. 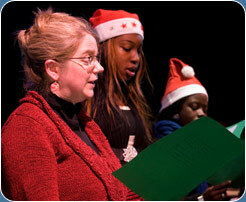 Our first ever Community Play in December 2010 "A Camberwell Carol" was a huge success involving 25 local residents and two community choirs. This was then extended to our play "Bermondsey Stories". With the aid of South Bermondsey Partnership we worked with residents of all ages to tell stories from Bermondsey's past, present and future, in a show that involved song, music, and acting. The group performed at Salmon Centre in Bermondsey on March 25th 2011.